Tuesday, March 12th, 2019 at 12:06pm. Just Google "House Hunting in Etobicoke" and you (if you haven't already) will find our site Etobicokeforsale.com. Now how will this help you is what this blog is about. On our site you will see a Buy category on the top red bar. Hit that and right away we start off with a Home Finder form. This will help you help us determine what you are hunting for in a home. Tuesday, November 27th, 2018 at 11:58am. Tuesday, November 6th, 2018 at 1:54pm. ZILLOW DSIY (do some of it yourselfers) Etobicoke style! Thursday, October 4th, 2018 at 10:11am. We know it's the US of A where these stats are from but they are relevant to our market and they are Zillow stats. It has been a decade of watching HGTV and all sorts of shows teaching us how and what to look for when buying or selling your home. You need to know! SOLD STATS about your Etobicoke Condos! Tuesday, August 28th, 2018 at 9:31am. Think you’re ready to buy in Etobicoke! Is it a Condo, a townhome or a Bungalow , Two Storey home in Etobicoke you wish for? Your number one move is to get pre-approved for a loan; unless you're a cash buyer, then, by all means, step right up to the plate. Having a bank or money lender (Mortgage Broker- we have two brokers who can give you a speedy reply) pre-approve a loan allows you to begin the search for your dream home with your eyes wide open. You wouldn’t walk into a store to buy a watch if you didn’t know you had the money to pay for it. Saturday, July 14th, 2018 at 1:18pm. 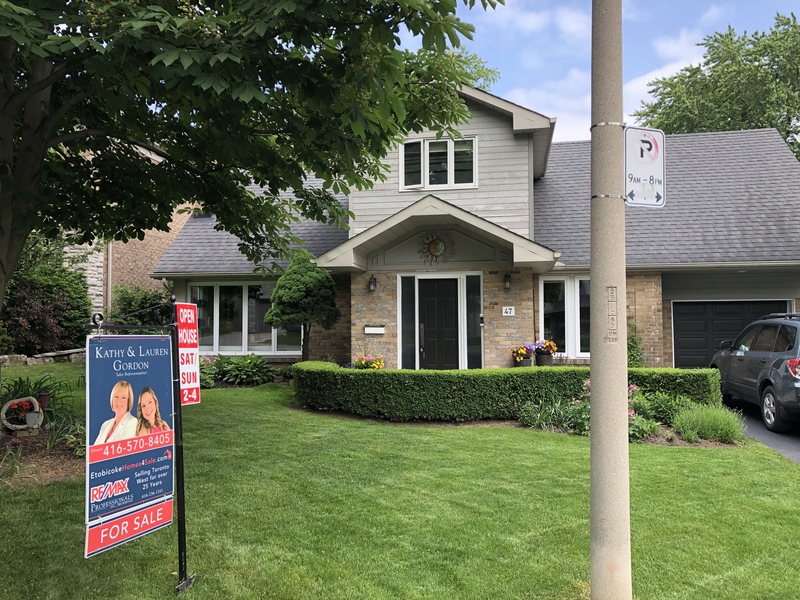 It is undeniable that houses and condos in Etobicoke are luxurious and elegant, simply looking at their exteriors and large lots will make you think that its prices soar above other boroughs. The prices may take you aback but, if you’re a buyer who’s willing to negotiate with the seller, you’ll see how flexible the prices of your dream house can be with the right negotiator at your side. Friday, July 6th, 2018 at 11:27am. Urbanites, where you at? Imagine living life in a land where luxury and comfortability meet? Etobicoke is filled with luxurious condominiums, buildings, and houses that exude warmth and serenity. If you want to dive into a wealth of awesome properties, then you might want to check out www.etobicokehomes4sale.com. We have agents armed with the knowledge and experience to help you find the perfect home for you. Houses for sale in Etobicoke run the gambit from classic architecture to more modern abodes; designs that appeal to many different tastes, bridging from traditional to modern style. Wednesday, May 23rd, 2018 at 3:47pm. These towers are the best Etobicoke has to offer. Located centrally with access to the QEW/Gardiner and 427, One Sherway is ideal for commuters, shoppers and young urbanites seeking more space than downtown will offer. Walkscore gives One Sherway a 79 which is very walkable with good transit and lauds it as bikeable. Beautifully maintained with chic common elements this condo building is an excellent place to live and thrive in Etobicoke.